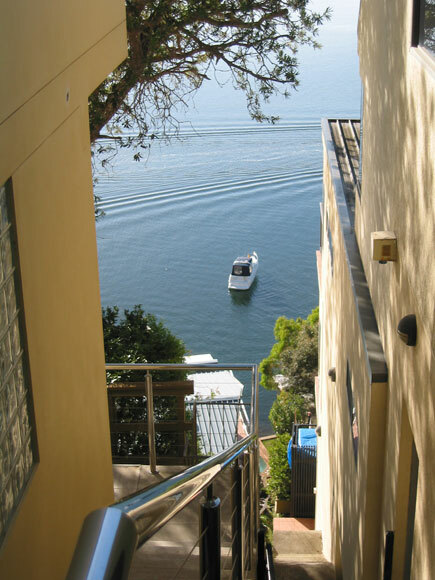 Stunning views from a road off Gymea Bay's Ellesmere Road, which is also called Ellesmere Road. We are not sure what these pieces of wood on the ground are for when you are on the rope swing in Greygum Place, Gymea Bay. 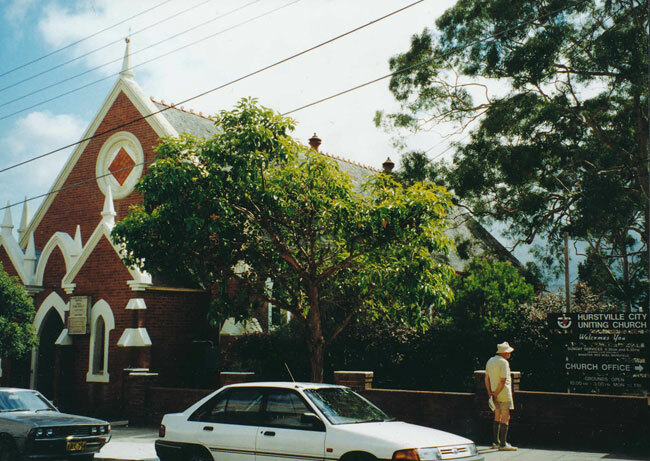 Alan attended the then Hurstville Methodist Church every Sunday at 11am and 7pm plus one or two week nights for his first 25 years. He was taught the piano in the hope that he would become the church's organist. 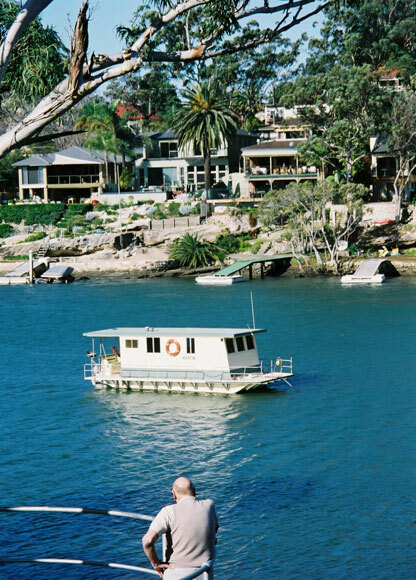 Our favourite Hurstville Grove house was on the water—on Oatley Bay, with Connells Point on the other side. 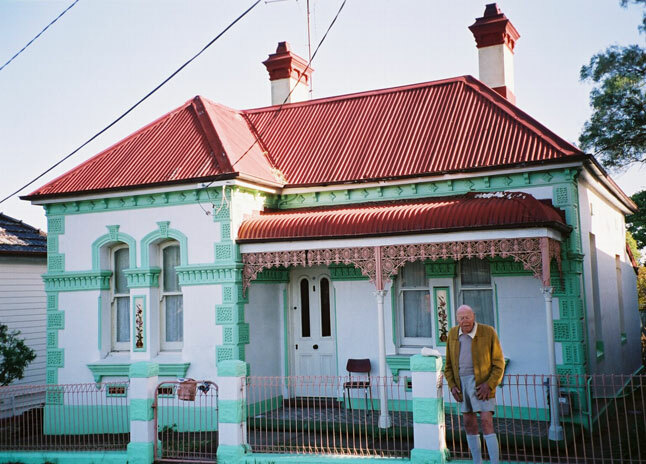 A simple, but well-planned, touch of paint can transform an ordinary quaint house into something really special. Admire it in Hillcrest Avenue, Hurstville Grove. 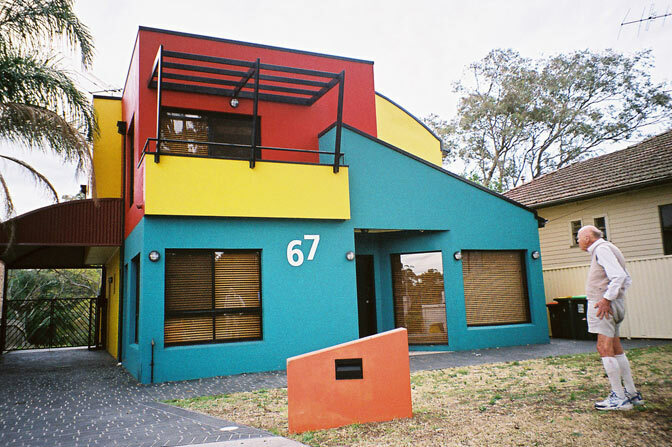 To get to my Hurstville Grove house in West Crescent, look for one that is either red, yellow, blue or orange; you should be able to read the street number. 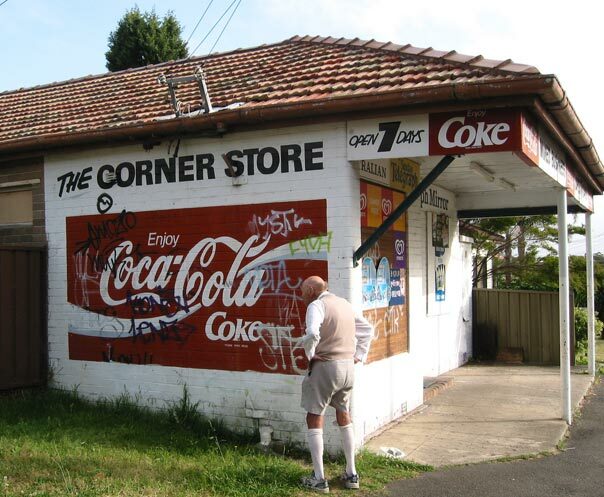 The corner store in Jannali has an innovative name. Patronise it on the corner of Georges River Road, Davey Street and First Avenue. The view from 12 Lenna Place, Jannali. 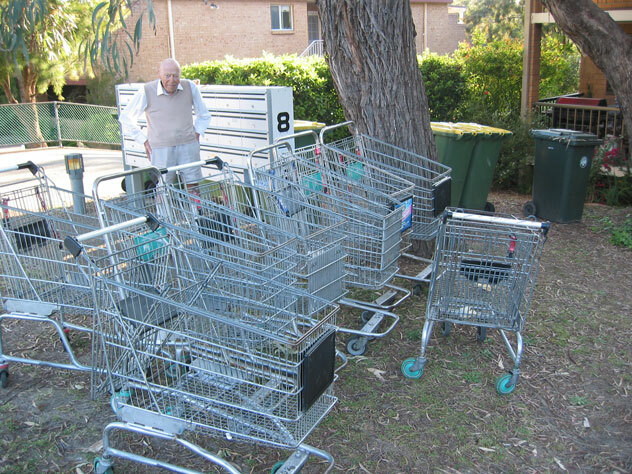 Supermarket trolleys attend a strategic planning session in Novara Crescent, Jannali, specifically on how to get back to the nearest shop, 300 metres away.